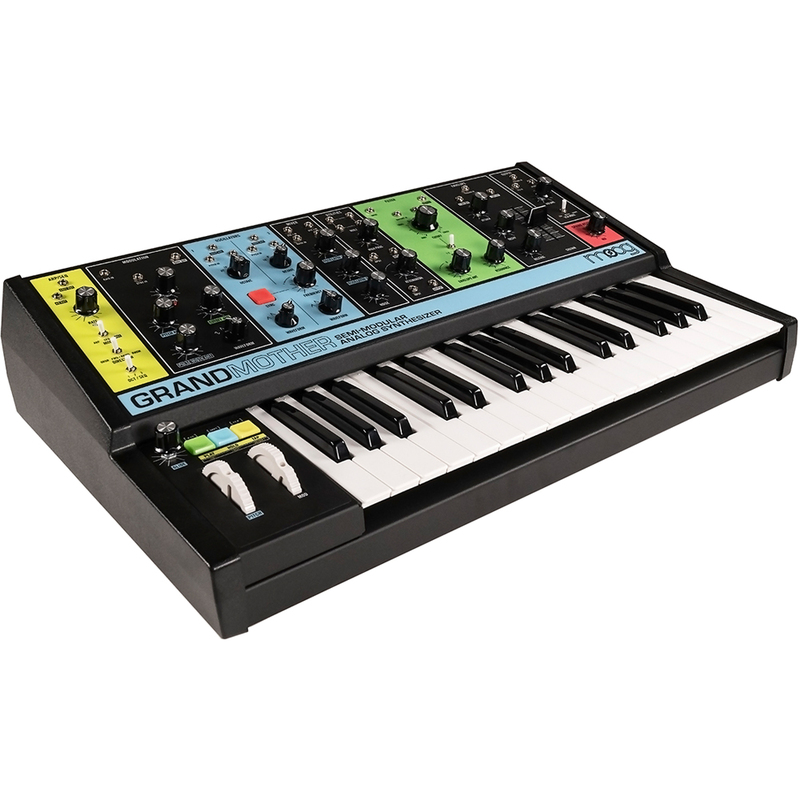 Moog Grandmother is a semi-modular analog synthesizer with a built-in arpeggiator, sequencer and spring reverb tank. 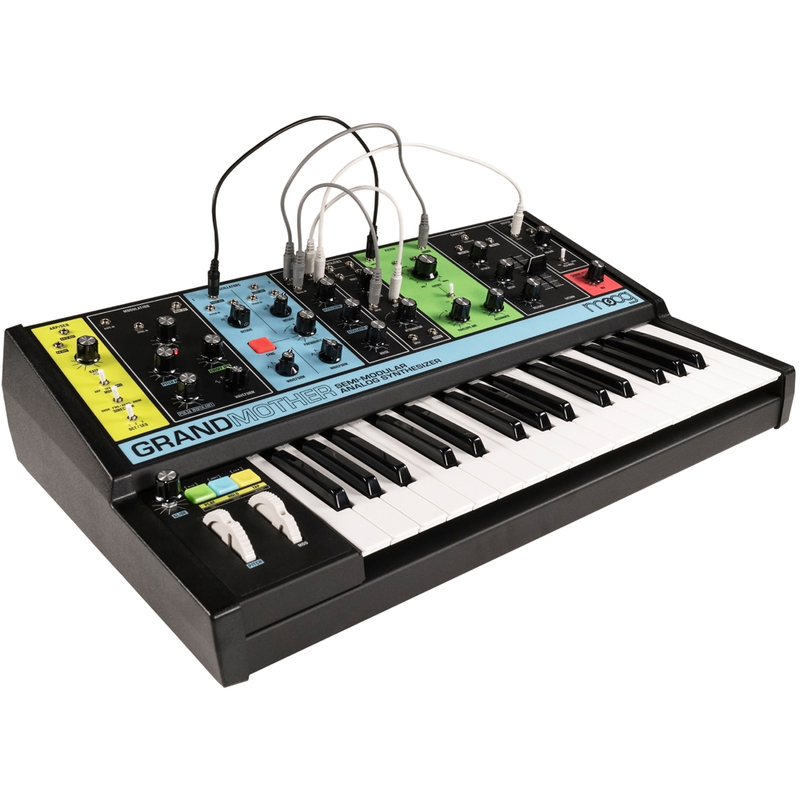 Start playing immediately with “no patching required”, and then explore an infinite sonic playground with Grandmother’s reconfigurable front panel. 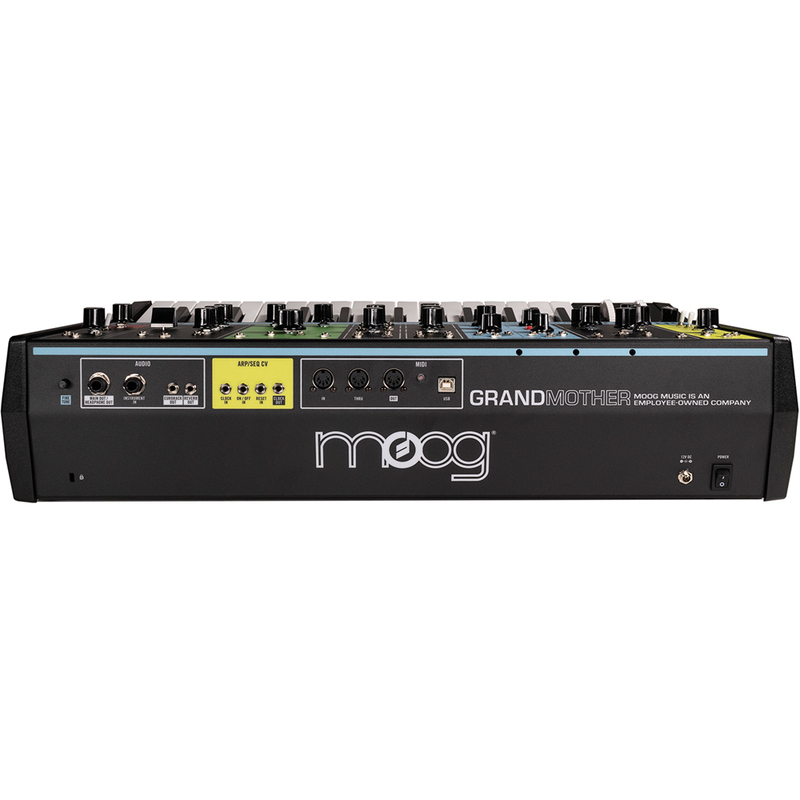 Grandmother’s circuits, spring reverb, and spirit are inspired by the classic Moog Modular Synthesizers, making this instrument a powerful addition to a Mother-32, DFAM or any Eurorack modular system. 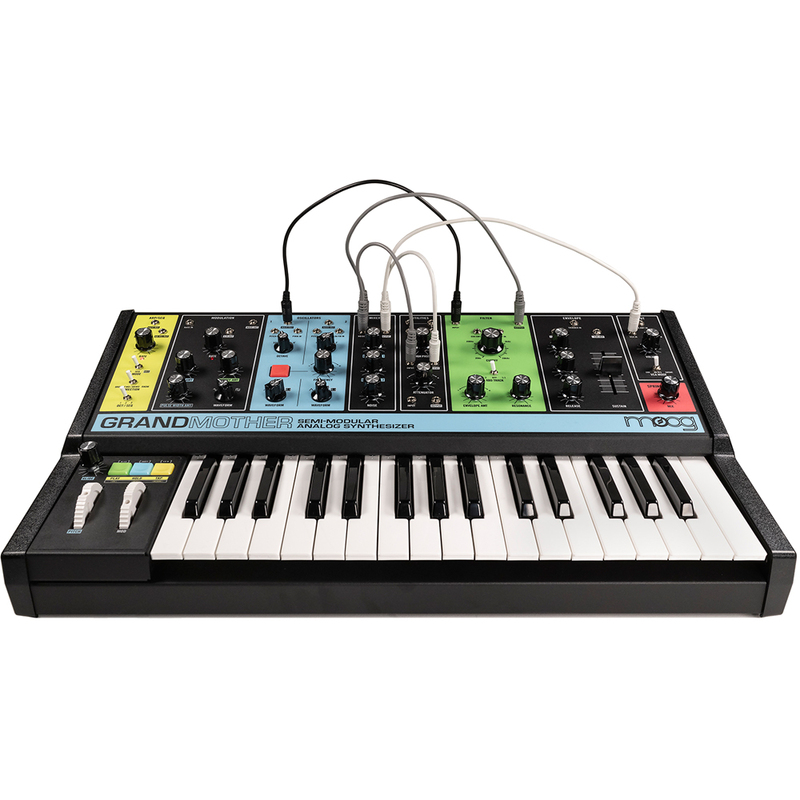 Grandmother is a sonic playground that harkens back to Moog’s modular roots, where synthesis is not only about the end result, but the journey of discovery and experimentation. 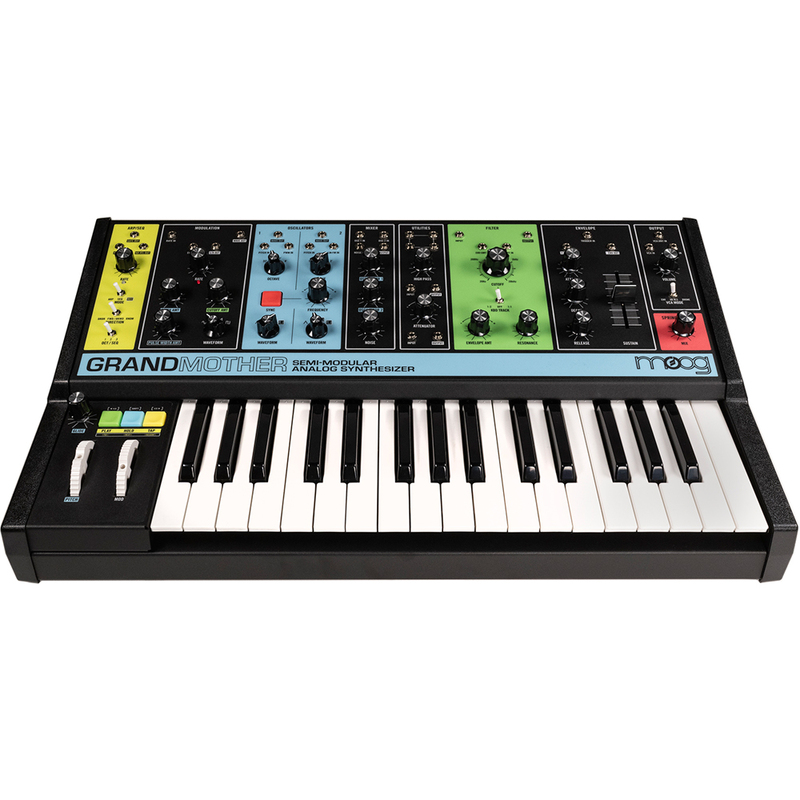 While capable of highly complex sounds and modulation, Grandmother's semi-modular design requires absolutely no patching, ensuring that players of any skill-level can easily explore and experience the joys and magic of analog synthesis.